Read, talk, and connect to books and your neighbors this summer! Read Crooked Heart by Lissa Evans throughout June and July and then gather for related programs in August. There are a variety of ways to get involved! Write a book review to enter a prize drawing and attend special events listed below. 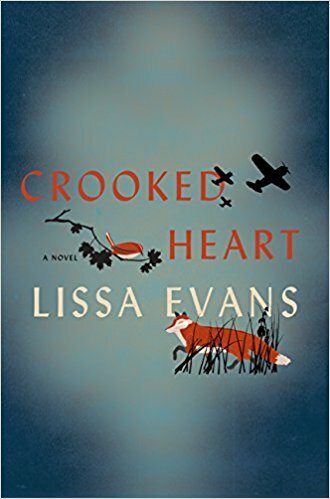 Visit or call the library to request a copy of Crooked Heart. If you can’t make our events here at the library, that’s ok! Read the book and chat about it with your neighbors and friends. Host your own More Than a Book Club event in your backyard! More Than a Book Club is about connecting with a story and each other through a shared book anytime, anywhere! When Noel Bostock—aged ten, no family—is evacuated from London to escape the Nazi bombardment, he lands in a suburb northwest of the city with Vera Sedge—a thirty-six-year old widow drowning in debts and dependents. Always desperate for money, she’s unscrupulous about how she gets it. Noel’s mourning his godmother Mattie, a former suffragette. Wise beyond his years, raised with a disdain for authority and an eclectic attitude toward education, he has little in common with other children and even less with the impulsive Vee, who hurtles from one self-made crisis to the next. The war’s provided unprecedented opportunities for making money, but what Vee needs—and what she’s never had—is a cool head and the ability to make a plan. On her own, she’s a disaster. With Noel, she’s a team. Create a collage project inspired by Crooked Heart by Lissa Evans, then turn your art into a button or magnet! Library staff will guide attendees in the project and conversation around the book. Participants are encouraged to read the book before the event, but it is not required. Two chances to participate! This 90 minute program is being offered at 1:30PM and 6:30PM. Pick the time that works best for you. Space is limited and registration is required. Call 262-246-5181 or email Adult Services to sign up! You’ve read the book; now meet with others to chat about it! Library and Village staff will guide two More Than a Book Club discussions. Receive recommendations for related works of fiction and non-fiction. No registration required. More Than a Book Club is made possible thanks to a donation by Meijer. Summer Reading Ends August 11! Find Great Deals on Books for Kids of All Ages!